Let’s Make A Mold Terrarium! Hello to the homeschool community! My name is Amy Brown, and I am a high school biology and chemistry teacher of 28 years. I absolutely love Biology and turning kids on to science!! It is such a joy when my excitement for biology and nature is contagious and my students catch it! As my students leave my class at the end of the year and go through their lives, I know that they will never remember every detail that was taught to them, but I really hope they will remember that in biology all things are connected. In nature, all organisms are interrelated and what happens to one affects what happens to another. This year when it was time to teach the fungi in our curriculum, I wanted to do an activity/experiment that my students could relate to. I wanted to show them that all organisms on Earth are important and all organisms on Earth play a role in the ecosystem. When you say the word “fungi” to many students, their usual response is that they are gross and they are not important. Our very lives and the lives of every organism on Earth, depend upon the role played by the fungi. They are decomposers and we cannot live without them. What could I do to make the fungi more interesting for my students? I decided we would build mold terrariums. I wasn’t exactly sure how the idea would go over with my students, but I decided to give it a go anyway. MY STUDENTS LOVED IT! On lab day I gathered the necessary materials, I wore my favorite t-shirt that has a mushroom on the front with the caption”Hey! I’m a Fun-Guy!”, and we began to make mold terrariums! No fancy materials are required. You only need a clear container, water, and some left over foods. Have your child first propose a hypothesis. 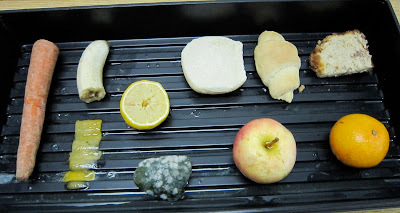 Examples: I think that food X will mold first. I predict that it will take X days for the first signs of mold to appear. 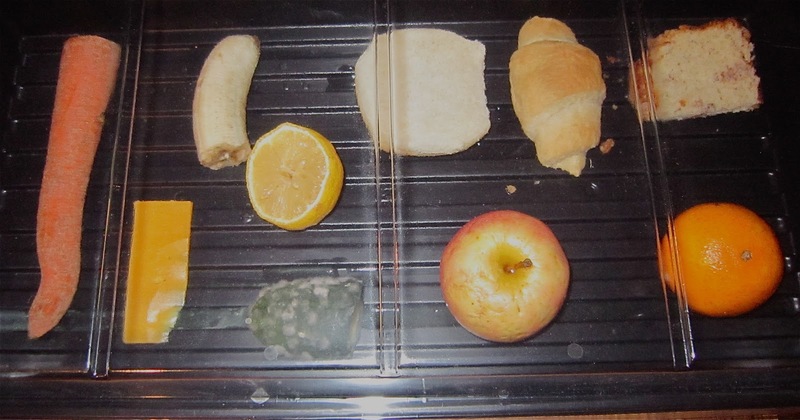 I predict that fresh foods will mold faster than processed foods.To set up the terrarium, simply choose the foods you want to test and place them in a clear container. You want to use a container that is “see-through” and also a container that you don’t mind throwing away at the end. A large glass pickle jar would be perfect! 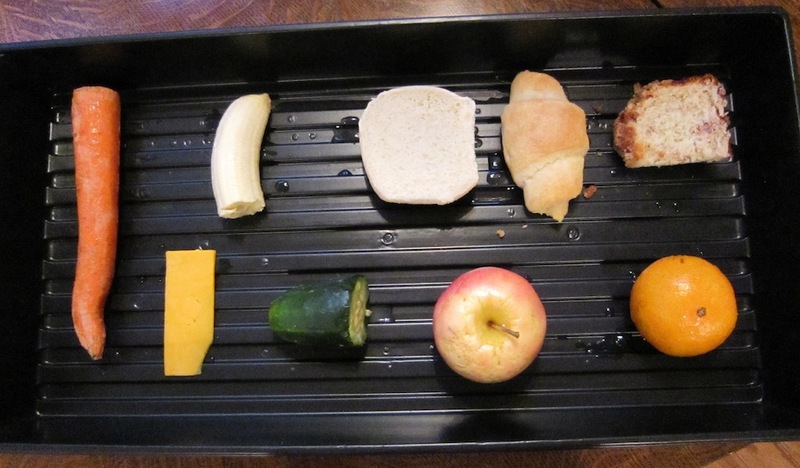 Moisten the food, and then place it in the container. Place the container in an area out of direct sunlight. From start to finish, I would allow at least 12 days. Nothing much happens at first, but when the molds start to grow…. WOWEE!…they really take off.Enjoy these pictures!! Day 1: Set Up Day! These are still good enough to eat! Day 3: The cucumber was the first to go! Day 4: The cheese is getting a bit “iffy”. Day 11: Very nice, huh?? Day 11: Wow! What a hairy monster! And there are several different kinds of mold visible. Believe it or not, the smell was not too bad. The only time I really noticed the smell was when I removed the lid to take these cool pictures. 1. Do not use any foods that have eggs, meat or fish! YUK! 2. Once the molds begin to grow, do not remove the lid. The mold spore count should be really high inside the jar. 3. You might try testing another hypothesis. For example, you might build two terrariums and place one in darkness and one in light to see which environment the fungi prefer. 1. Fungi are “plant-like” but do not belong to the plant kingdom. They belong to a separate kingdom…the Fungi Kingdom. 2. Fungi are not true plants because fungi are heterotrophs. They do not contain chloroplasts with chlorophyll and therefore cannot carry out photosynthesis. 3. Fungi are not true plants because they do not possess true roots, stems, and leaves. 4. 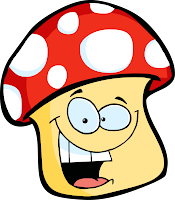 Fungi are not true plants because they have a cell wall composed of chitin. True plants have a cell wall composed of cellulose. 5. 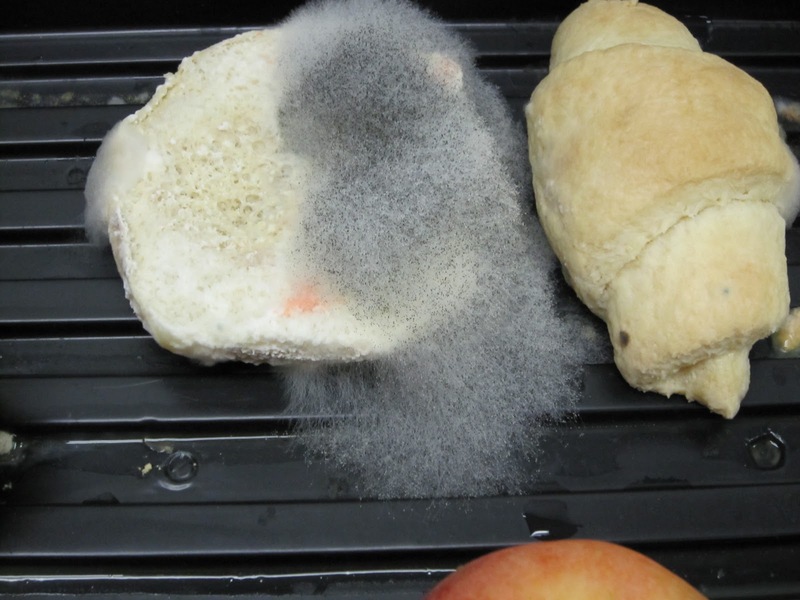 Fungi are decomposers, a role that is absolutely essential in our ecosystem. 6. In the process of decomposition, the essential elements for life (carbon, hydrogen, nitrogen, phosphorus, etc.) are returned to the ecosystem so that they may be used in the bodies of new organisms. 7. Fungi are an important food source. We consume many varieties of mushrooms, and the yeasts are important in the baking industries. 8. Thank goodness Walther Flemming noticed that the Staph bacteria he was attempting to grow was inhibited by the presence of a pesky green mold! Hooray for penicillin! As you can see by the length of this article, I get very excited about biology. I hope that this is an idea that you can use in your curriculum, but most importantly, I hope that you and your children get as excited about science as I do! You can find more amazing experiments and science resources from Amy at her blog, Amy Brown Science, and her online store. I am so excited to start this experiment. I think I have this experiment going on right now in my fridge! It think it would be even more interesting if I tried to grow mold on purpose 🙂 Let me know how yours turns out. I like the idea of having a terrarium. Keeping all the items in one place and with a clear lid is a good idea. I think we’ll do it that way next time. You are here: Home / Experiments / biology / Let’s Make A Mold Terrarium!